talkhealth > Blog > 2017/01 > Should GPs run a 7 day service? The government are keen for GP surgeries to open from 8am to 8pm, 7 days a week. Doctors are being told that if they fail to meet their commitments to keep surgeries open for longer, they may lose extra funding. The initiative has come about due to higher demand for GP appointments but also to stop the increase in patients going to A&E because they are unable to book a GP appointment. The government recently highlighted figures from the National Audit Office from October 2015 which recorded 46% of GP surgeries closed at some point during core hours, and 18% closed at or before 15:00 on at least one weekday, despite the fact that surgeries are currently expected to open between the core hours of 08:00 and 18:30, Monday to Friday. Should surgeries open longer? Should GPs be financially penalised for not opening longer? Do you find it difficult to get a GP appointment? Have you had to go to A&E because you couldn’t get an appointment? We are keen to know what you think. 2 Responses to Should GPs run a 7 day service? I can never get a doctor appointment when I need it. At times I have to wait over a week to see a doctor – it’s ridiculous! Got so fed up recently that I decided to pay a monthly subscription for a private doctor service – now I can get to speak to a doctor or have a Skype consultation within a couple of hours. The service has been worth every penny and gives me peace of mind. It’s such a shame that our NHS is under threat and struggling to cope. I do sympathise with the medical profession but practically it’s not working for me with regard to routine everyday health issues. Trying to get an appointment at my local GP practice in Whitchurch, Bristol is both a painful and timely task. 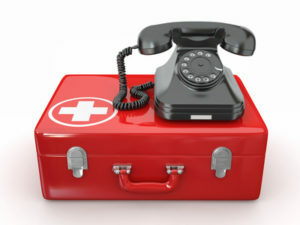 The practice does not offer the option of a same day appointment via telephone, only by visiting the practice in person. The never ending queues winding round the practice generally start at 8am, which is 30 minutes before the practice doors open at 8.30am. Depending on what time you started to queue will depend on whether you are given an appointment that morning, in which you can choose to sit and wait (sometimes several hours) or if you have been given a later appointment you will need to go home and come back later in the day. I have in the past queued outside for 20 / 30 minutes in the howling wind and rain with an ear infection on one occasion and tonsillitis on another occasion which surely hasn’t helped my condition. To see elderly folk and parents with baby’s / toddlers queuing in all sorts of weather conditions just to get a same day appointment is frankly not good enough. I have recently recovered from a severe chest infection. At the time, daft as it seems, I felt so dreadful that the thought of having to get myself out of bed and queue in the cold was something I just couldn’t do despite knowing that I needed to see a doctor. It was only on the persistence of my family that a few days later I finally succumb to visiting the practice and ultimately joining ‘that’ queue. The doctor was concerned that I was bordering on pneumonia (after having had it the past) and suggested if I got any worse to go to A&E. Thankfully I never had to go down that path, but their current system is a total fiasco. It is this type of system that is causing people to have to visit A&E. Not being able to get an appointment by telephone with my GP earlier in the week and feeling too poorly to queue, hence a delay in receiving antibiotics may have resulted in a trip to A&E.